With the Oscar nominees revealed on Thursday, it generated a lot of buzz within the media and the entertainment world. Yet, it’s not for the obvious reasons. For the second year in a row, the Academy Award’s board has neglected to nominate any actors of color, sparking controversy around this issue. 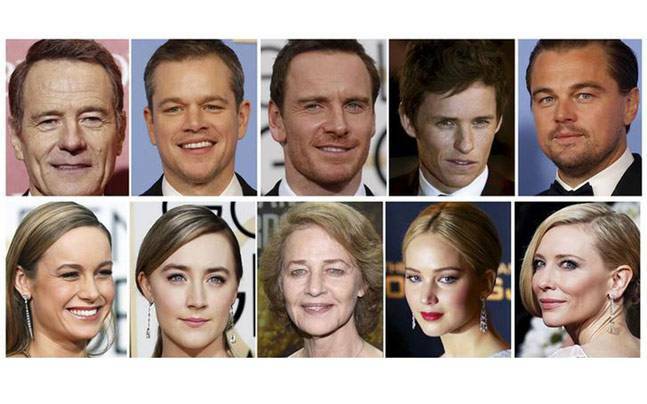 As a result, “#OscarsSoWhite” has become a trend once again on social media. However, is the Academy completely to blame? No, they’re not. Although The Academy neglected to nominate Straight Outta Compton for Best Picture and Michael B. Jordan for Best Actor (Creed), we can kind of understand these snub. The thing is, the eight nominated films this year are stellar. One could only imagine how the agony that the board members had when choosing between the potential nominated films. Also, we weren’t too surprised that Jordan was snubbed since young actors in starring roles are often overlooked by the A-List supporting actor. Hence, Miles Teller in last year’s Whiplash—he deserved a nomination because he was brilliant. The nominees for this year’s Academy Awards. Yet, people are still forgetting that there were people of color nominated, but not for acting. Wiz Khalifa for Best Song in a Motion Picture (Fast and Furious 7) and the screenplay for Straight Outta Compton were nominated as well. Within days of the nomination announcement, Jada Pinkett Smith claimed that she would not attend this year’s event due to a lack of diversity within the nominated actors. In an effort to get her points across, she addressed her concerns with the Academy’s decision through a video. Could Smith have made the decision to publicly boycott the Oscars because her husband didn’t get nominated for Concussion? Possibly. But, who really knows the answer to that one? In response to Smith’s video, her husband’s former “Fresh Prince of Bel-Air” costar—Janet Hubert—publicly slammed Smith on Monday in a four-minute video. To be honest, it’s a bit harsh. Spike Lee became the second A-Lister to announce his decision to boycott the awards with his wife. Lee waited until Martin Luther King Day to make this timely announcement. Fortunately, Cheryl Boone Isaacs—the Academy’s president—heard Smith and Lee’s voices. Correspondingly, Isaacs responded through Twitter in which she claimed that The Academy would begin the process of improving diversity issues. In doing so, she mentioned that she’s “heartbroken and frustrated about the lack of inclusion.” However, she mentioned a very important step the Academy plans to take—modifying the members. It’s common knowledge that The Academy’s board consists primarily of the following: older white males. Despite having a black president on The Academy, the member’s makeup is lacking in diversity. Yet, this is about to change because The Academy plans to interview new and younger people. Hence, creating a more diverse board. This plan won’t be completed until approximately 2020. Although we admire The Academy’s plan, they shouldn’t be receiving as much backlash for this incident as they have. We admire that they want to be apart of the solution and not the problem by taking steps to modify their board members. However, Hollywood is the main culprit in this one. For some reason, Hollywood still can’t seem to provide opportunities for non-white actors in the industry. Sure, there are numerous actors of color. However, only a handful of names within the Asian and Hispanic communities come to mind. Sure, we can recall more black actors. Still, how many of them are securing prominent starring roles? This is a major problem. Television is beginning to see more diversity than ever before. With shows like “Jane the Virgin”, “Black-ish”, and “Fresh Off the Boat”, that present people of color in a positive light, this is a great start. We are truly seeing diversity within the television world. However, with film, the lack of diversity is completely unrealistic. Hollywood, wake up! The problem of this lack of diversity within Hollywood is that filmmakers, producers, and casting directors are so quick to cast white actors in roles that aren’t meant for their race to tackle. As an example, Rooney Mara was cast as Tiger Lily in Pan. Tiger Lily is a Native American. The role should’ve gone to a Native American actress. However, can you name any notable actresses with this ethnic background? Pan didn’t even attempt to find a Native American to play the role, considering all the actresses that were sought for the role were white. A more notable example, Emma Stone in widely panned Aloha. Stone was cast to play a pacific islander. However, with blonde hair and blue eyes, she could never pass. Does Hollywood not realize they message that they are sending to non-whites? Hollywood, you can do better. 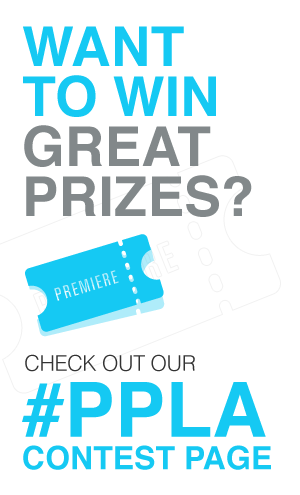 PPLA fans, what do you think about the Oscars boycott? Leave your comments below!